IDEAL Networks, global manufacturer of data cable and network testers, announces the launch of the new SecuriTEST IP, enabling technicians to install, test, troubleshoot and document IP/digital, HD coax and analogue CCTV camera systems with a single tester. In addition, the self-contained tester can supply power to cameras via PoE (Power over Ethernet) or standard 12V DC power using its internal Li-Ion battery. The long-life battery provides up to 10 hours continuous usage, but technicians can also pass PoE directly from the switch on an active network to a connected camera, reducing battery consumption. Regardless, the handheld SecuriTEST IP tester removes the need to use external power adapters and injectors. As well as saving space in a technician’s kit bag, this, coupled with one-hand operation and a customisable short cut menu, makes it easier to work on lifts and ladders. Using either the touch screen or keypad, camera information, network settings, aim and focus can all be easily configured, even for 4K camera systems. Additionally, PTZ (pan-tilt-zoom) presets can be programmed into the camera during installation before the head-end equipment is in place, further reducing total installation time. To demonstrate PTZ coverage to clients, real-time video clips can be recorded and sent to clients. Plus, multiple still-images of each location preset can be stored and attached to reports giving technicians a better way to prove performance. SecuriTEST IP includes a number of other advanced reporting tools to enable installers and technicians to document performance. Until now, time has often been wasted filling in excel documents to create reports. Not only is this time consuming, but as a spreadsheet rarely has enough detail, if an issue arises, unpaid callbacks are commonplace. SecuriTEST IP is the first camera tester to capture camera images and network configuration, and provide professionally formatted documentation in PDF. This enhanced proof of performance enables unpaid callbacks to be converted into billable service calls, improving profitability. To help increase cash flow, the detailed, automated reports can be sent directly from the jobsite, allowing projects to be completed more quickly. Using the built-in Wi-Fi and web browser on the intuitive tester, reports can be sent straight from the tester using email or file-sharing services. Reports can be sent directly to the customer, or can be used to share information with colleagues based off-site to assist with troubleshooting. The tester can also be used with screen-mirroring, allowing others to view the screen on SecuriTEST IP in real-time using their own mobile devices. SecuriTEST IP is an addition to the IDEAL Networks range of data cable and network testers which help technicians and installers overcome challenges, increasing productivity and profitability. 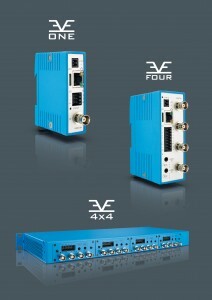 For more information, visit www.idealnetworks.net. January 2017, Mayflex the distributor of Converged IP Solutions, is celebrating a significant milestone this year, its 100th anniversary! The company was founded on 17th March 1917 as Mayall & Co as a distributor of Swan Kettles by John William Mayall and stayed in the family for three generations. September 2016, Mayflex the distributor of Converged IP Solutions has launched a new mobile friendly website – www.mayflex.com. The new site is much cleaner and simpler to use and really helps to take a visitor on a quick and easy journey to find the information they need, whether they are in an office on a PC or out on the road using a mobile device. As before the site includes the XTRA partner area where customers can see their prices, view stock availability and place orders up until 8p.m. for next day free deliveries to the UK mainland. The UK’s fastest growing independent CCTV distributor DVS Ltd have published their latest trade only catalogue. The industry is evolving at an incredible rate and it can be difficult to keep up with the technology on offer. 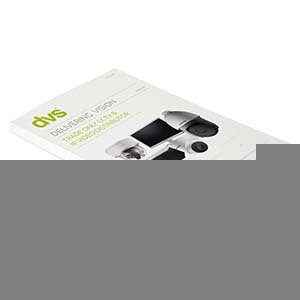 Thankfully, DVS produce catalogues such as this that are dedicated to the HIKVision product range and showcases the latest CCTV and IP technology on the market. 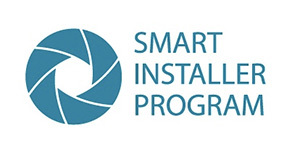 Smart Installers Program offers specialist security installers a range of specialist tools and unique benefits. December 2014, Mayflex, the cabling infrastructure, networking and electronic security solutions distributor, is a distributor for the BCDVideo family who has recently received great feedback about their BCD380V8 Server from Genetec, a premier video management software (VMS) company. 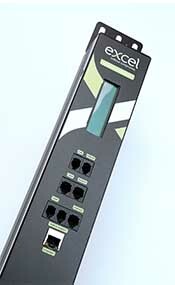 Excel Networking Solutions, the copper, optical cabling and rack solutions provider, has launched a new range of intelligent Power Distribution Units (PDUs). 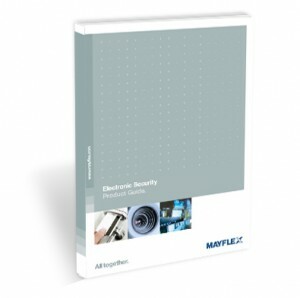 November 2014, Mayflex, the cabling infrastructure, networking and electronic security solutions distributor, has launched its new Electronic Security Product Guide. The guide is available in two formats, printed and an interactive pdf version. This new release is packed with innovative solutions to suit a vast range of applications for network based IP security from our carefully selected best of breed vendor partners. 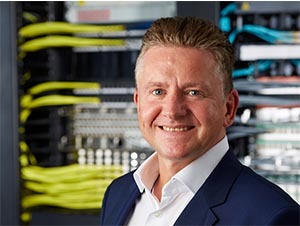 April 2014, Mayflex, the distributor of Converged IP Solutions including cabling infrastructure, networking and electronic security solutions has taken on a number of new recruits to help the company continue to grow. Additions have been made to the warehouse management team and across a number of the internal sales teams. 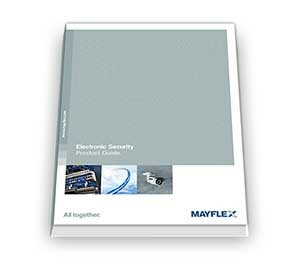 March 2014, Mayflex, the distributor of Converged IP Solutions including cabling infrastructure, networking and electronic security solutions has launched its new security product guide. The guide features products from the key Mayflex security vendors. The downloadable pdf is interactive and contains links to a large number of useful videos, tools and information which should hopefully make the guide a useful document for customers to visit time and time again. EVE is a no-nonsense approach to IP-based video surveillance. https://1stsecuritynews.com/wp-content/uploads/2018/02/Logo1stSec.jpg 0 0 1st 4 Media https://1stsecuritynews.com/wp-content/uploads/2018/02/Logo1stSec.jpg 1st 4 Media2014-01-23 18:40:112014-01-23 18:42:11EVE is a no-nonsense approach to IP-based video surveillance. 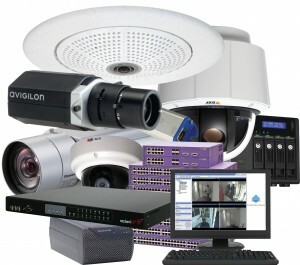 Meyertech awarded contract to supply a new IP ONVIF conformant CCTV system. 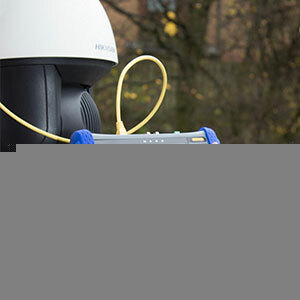 Meyertech in conjunction with Scottish Communications Ltd has been awarded the tender to supply a new digital (IP) CCTV system for one of Scotlands key CCTV infrastructures. 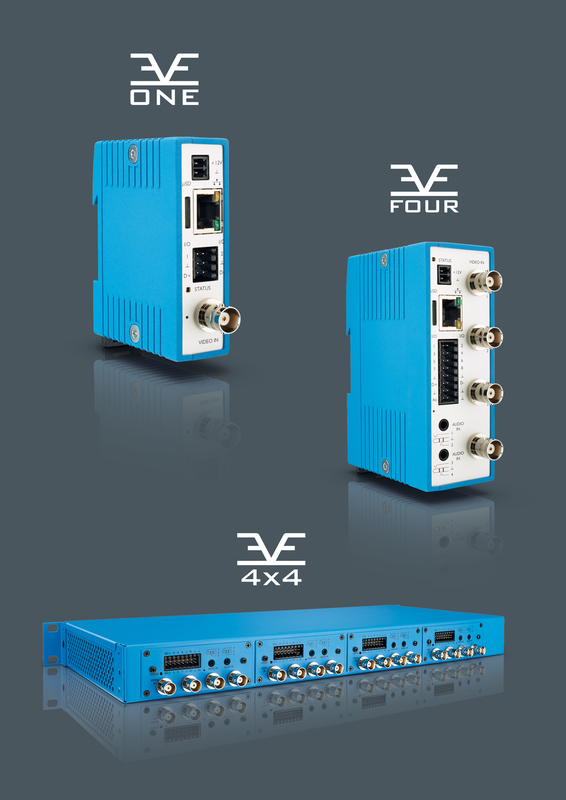 Using Meyertechs ZoneVu Integrated Video Solutions and FUSION-CORE-SOLAR (VMS). Scottish Communications was chosen to design and deliver an integrated solution based on Meyertechs FUSION and ZoneVu platforms for the Grampian Police Force. https://1stsecuritynews.com/wp-content/uploads/2018/02/Logo1stSec.jpg 0 0 1st 4 Media https://1stsecuritynews.com/wp-content/uploads/2018/02/Logo1stSec.jpg 1st 4 Media2013-11-28 18:11:292013-11-28 18:15:58Meyertech awarded contract to supply a new IP ONVIF conformant CCTV system. 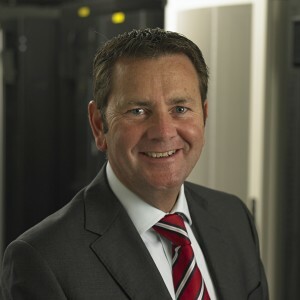 November 2013, Mayflex, the distributor of Converged IP Solutions including cabling infrastructure, networking and electronic security solutions has developed two new IP CCTV courses which will be available for customers to attend in early 2014.